Today was Day #6 of Chocolate and Jamaica Theme Week. 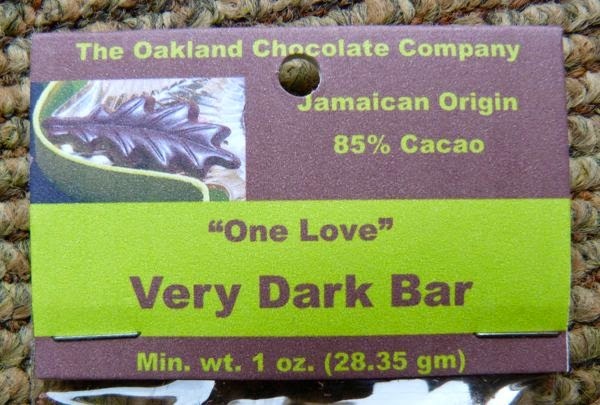 For a pure Jamaican dark chocolate experience you might try the "One Love" Very Dark Bar from The Oakland Chocolate Co. (Oakland, CA). This smaller sized bar (just the right size for me) was smooth in texture, and had a robust, Jamaican Origin 85% cacao flavor profile. 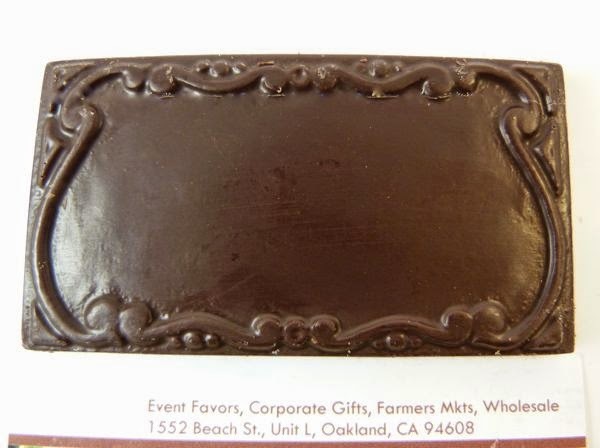 Labels: chocolate and Jamaica, chocolate and single origin bars, The Oakland Chocolate Co.